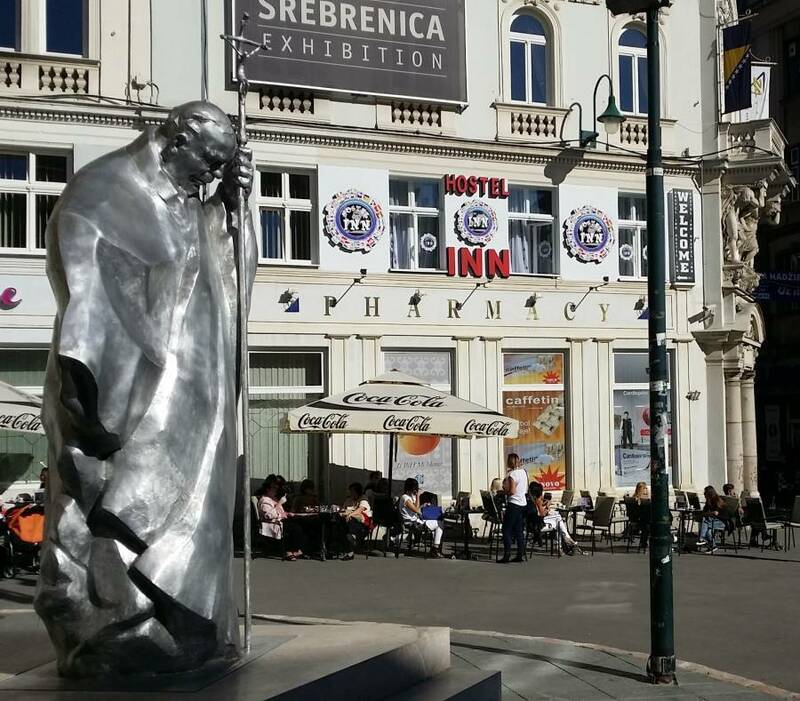 Sarajevo is the capital of Bosnia and Herzegovina, a cultural center of the country. During the past decades, it was the center of all religious communities and highest educational institutions. Bosnian society is multicultural, multi-religious and multi-national. Religious communities and their activities significantly contribute to the preservation and development of traditions of tolerance of different religions and nations in Bosnia and Herzegovina. If you are looking for a nice, beautiful and comfortable place, with friendly and warm atmosphere, then you must be looking for us. Hostel Inn Luxury is a great place with heart and soul. Our staff is available 24/7 and more than glad to help you. Hostel Inn provides a remarkable comfort that meets the needs of tourists in our city. 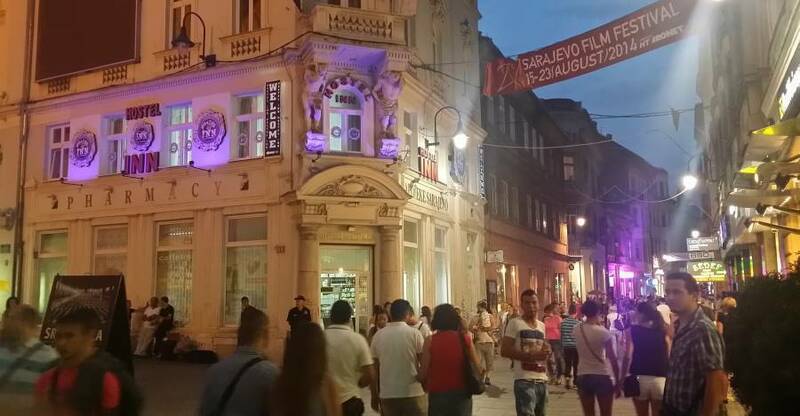 Hostel Inn is located in the center of Sarajevo, in Fra Grga Matic’s square. 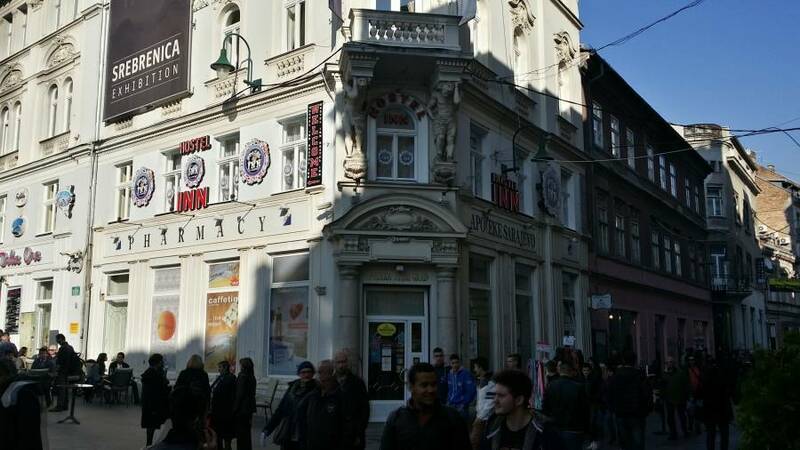 If you want to feel the peace and harmony during your stay in Sarajevo and if you want to feel the heart of the Sarajevo bazaar then you are in the right place. Hostel Inn Luxury provides a remarkable comfort that can meet the needs of tourists and business people who are guests in our city. With 3 comfortable bedrooms, (two eight-bed and one six-bed rooms), equipped with air conditioning and LCD TVs, the hostel stands next to the Fra Grga Martic Main Square and The Cathedral of Sacred Jesus Heart. The other premises and facilities at disposal to our guests are the comfortable common area equipped with 3 LCD TVs, air conditioning, laptop, the kitchen with 3 respective refrigerators as well as 3 bathrooms. Hostel Inn Luxury has also provided for our guests free Wi-Fi, coffee and tea, as well as bed linen and towels. Carefully composed breakfast, insurance and tax are included in the price. 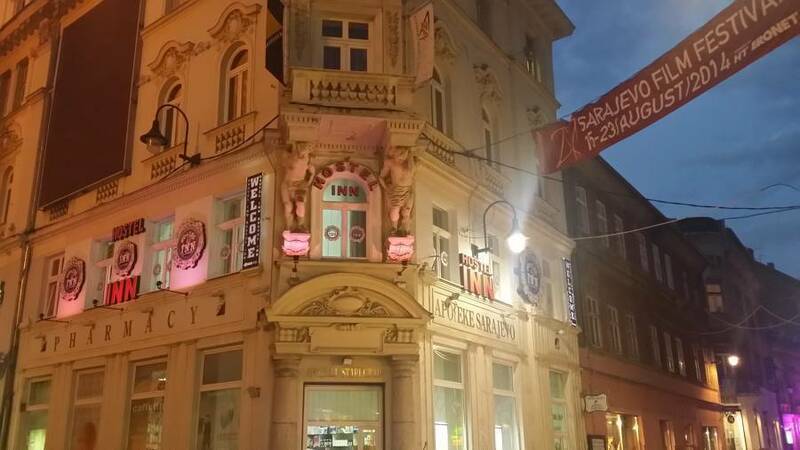 Hostel Inn is located in the center of Sarajevo, in Fra Grga Matic’s square. Windows of our hostel overlook the Cathedral of Sacred Heart of Jesus square where the memorial to Pope John Paul II was recently erected. For all other information and requests please contact our reception at any time. Hostel Inn Luxury is a great choice for a pleasant and exciting stay in Sarajevo. If you are looking for a nice, beautiful and comfortable place, with friendly and warm atmosphefe, then you must be looking for us. Hostel Inn Luxury is a great place with heart and soul. Our staff is avaliable 24/7 and more than glad to help you. Hostel Inn provides a remarkable comfort that meets the needs of tourists in our city. 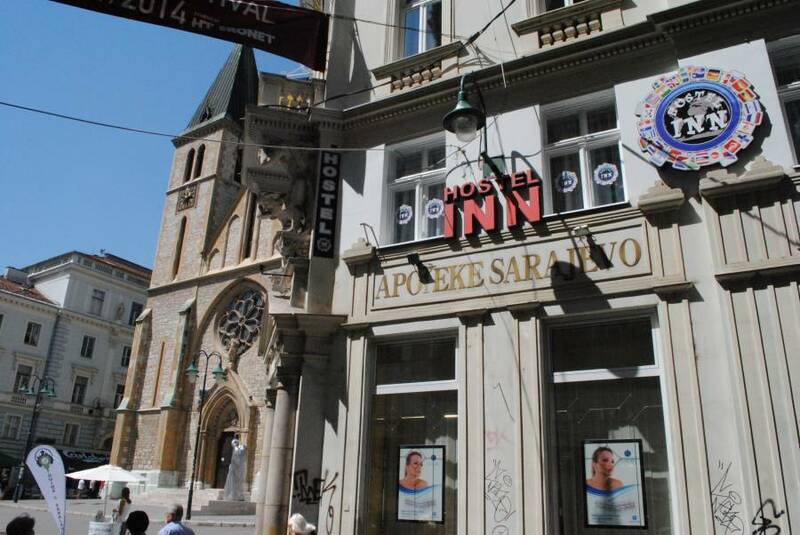 Hostel Inn is located in the centre of Sarajevo, in Fra Grga Matic’s square. FROM THE SARAJEVO RAILWAY STATION AND BUS STATION To get to our Hostel from the Railway or the Bus station you can take a tram No. 1. Please buy a ticket from the kiosk or tram driver and remember to validate your ticket in the green automat machines inside the tram. The price of the ticket is 1, 60 KM (if you buy at the kiosk) or 1, 80 KM (if you buy from tram driver). Get off at the ninth tram stop named Katedrala, then you cross the main street and we are just across the Katedrala from the left side. FROM THE BUS STATION EAST SARAJEVO (Istočno Sarajevo, Republic of Srpska) From the Bus station East Sarajevo you can come to us by three options. First, you can take the taxi the price is approx. 10-12 euros. The second possibility of getting to our Hostel and to the city centre is by bus. You have to walk 300 meters away from the Bus Station East Sarajevo-to the quarter Dobrinja-to get to the bus station. Take bus No. 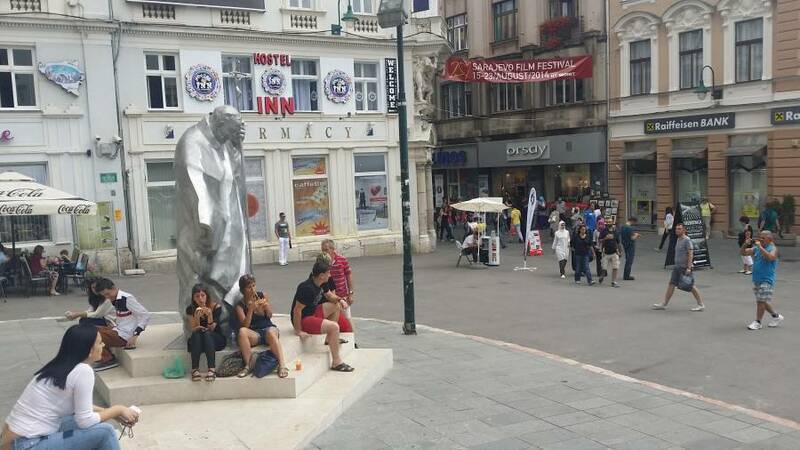 31e (Dobrinja-Vijećnica) and get off at the bus station Drvenija, cross the main street and pas the Gimnazijska street and you will be in Alija Izetbegovic Square. Pass the square and turn right and after few meters you will be in front of the Cathedral Heart of Jesus hostel is on the left side on the first floor.